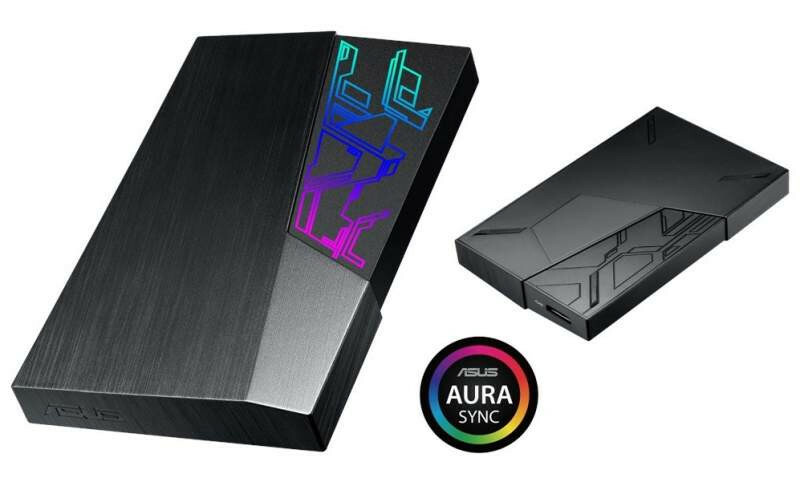 If you've been dreaming of an external HDD that could sync its RGB goodness with that of your PC case for the ultimate in bling synchronicity, ASUS has you covered. 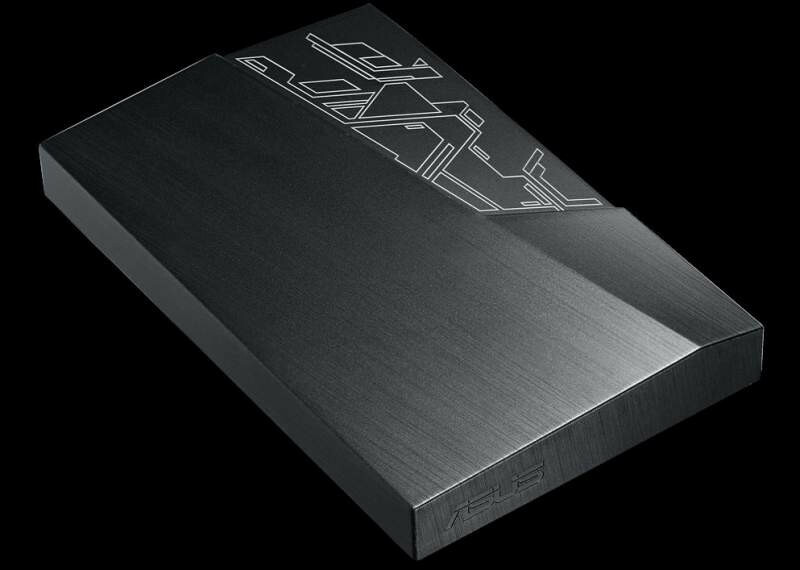 Its new FX external HDD lineup does just that - deliver a Strix-like design with a very angular base, with detailed accents etched onto the brushed aluminum enclosure. And did I mention there is full AURA Sync support? The FX external HDDs boast of secure 256-bit AES encryption and data compression, and has a built-in back-up software solution. Connection (both for data transfer and AURA Sync) is done via a USB 3.1 Gen1 x 1 connector via the ASM1153E controller. The FX external HDDs measure 128 x 80 x 16.3 mm and only weigh 145 grams in 1TB and 2TB capacity, while the EHD-A2T model provides 2TB of storage. Disgraceful, tie them up and deport them for that crime. No rgb in 2018 is a crime, still waiting for rgb toilet paper too I've got a lawsuit team working on It even Louis Rossman agrees. Might have actually had some value if it included ARGB controller. Say you got bit by the RGB bug and now have at least a few fans and LED strips laying around unused. Toss all that in your aging B system with no RGB board headers and treasure the reactions when you plug that novelty external drive in. The scourge must spread to new bodies! What components of PC still need LED+RGB trend? 4) I am out of ideas anyone? You need to go water cooling for that. Lian Li I think it is has an RGB cable for your 24pin. It's an extension cable though. I think it's pretty cool looking, even without the RGB. I might not even use the RGB - too much and you wind up with a generic-looking setup, just like everyone else's. I'm just kind of a sucker for that Strix aesthetic. 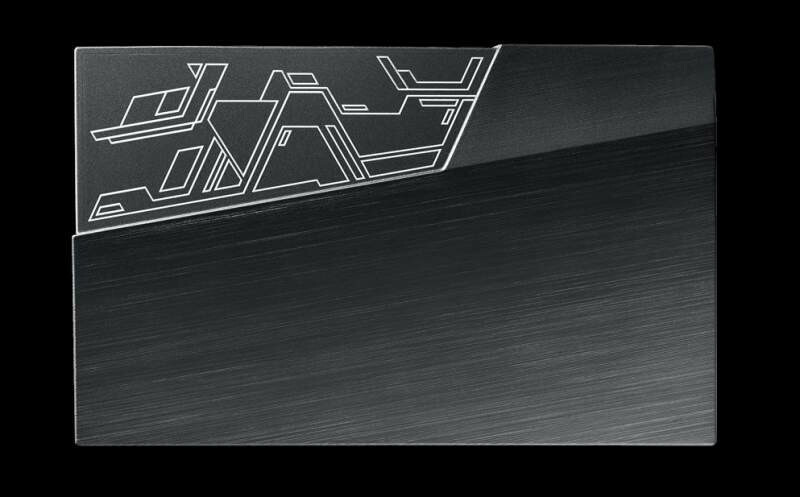 I like all of the slanted angular contours and use of different shades of black/gray. I like that whole "paneled" look. Kind of a sleek, dark, sci-fi look. It's cool. I think it's a little more tasteful than the typical, exaggerated, brightly colored "gamer" fare. If I was in the market, I might grab one, assuming the performance is there. RGB dust filters. Ooooh my gooooooood. Anyway, if this is priced $25+ more dollars than a normal 2.5" drive. Well, they can keep it. I'll just buy an enclosure and a HDD separately. The controller + a few lights ain't making it worth it. I think they should try and make computer cases again, but they would screw it up by having the case suffocate due to RGB and closed off front. Kind of like what IN WIN did. I bet they put seagates in them. In the near future every thing has rgb. Your car, your jacket, your house and properly even your grand mothers walker. Yeah i am not a rgb fan and nothing in my pc accept from gpu has any rgb. An external harddrive now with rgb, no thanks. I've often said that if for any reason I'd have to give up a testicle, I would want an RGB implant, preferably one that responds to music. Completely makes up for losing the real one in my book. The guy that thought of this should be tied to a chair with a tv in front playing Tropical Thunder over and over and over and over and over again. And dozens of little 4-wire connectors running everywhere to power and control it all, so we can all happily spend the rest of our natural lives trying to hide them. And what's wrong with current Seagates? I own both Barracudas and Ironwolf drives and they run faster and more reliable than WD ones right now. Plus I got them cheaper. It would be only bad if they stored old Seagate drives. Or used WD Greens, those drives are absolute trash, I regret owning them, some of the Blue ones weren't so good either, I think WD has improved them since 2012-2013 and completely got rid of Green HDD's and use that name for their SSD's instead. Honestly I can't speak for the 2.5" ones though, most are used for laptops or HTPC's. And they last pretty damn long (I have some 2.5" Samsung Spinpoints which are more than 5 years old and still going. ), but I am unsure of speed degradation over-time though. Most of my personal experience comes down to 3.5" drives. It would be a miracle to find a HGST in a pre-built enclosure I guess. I agree, nothing wrong with seagate. Been using their drives for a long long time without a single failure or hiccup. Currently have two 'cudas that perform great and should last a long time, for a little cheaper, even. Got a 2tb backup plus that's been great these past few years, too. They get a bum rep sometimes, I think for some things that are now ancient history. I'd almost rather Seagate be the OEM for something like this, if it brings the price down a little. Honestly I can't speak for the 2.5" ones though, most are used for laptops or HTPC's. And they last pretty damn long, but I am unsure of speed degradation over-time though. I haven't gotten a new drive in a while. Maybe the new models are better. From past experiences I had so many go bad through the years. Yeah it was a kind of turnaround for Seagate lately when WD drives started to go wrong. 2 years ago I bought 2 WD Reds for backups, one of them decided to die in a day. :laugh: Luckily I was still covered by warranty. Their speeds seem to dropping more rapidly than I expected. I would still go for a HGST drive any day, but if I am going with long-term storage or just a drive to store games, the 2016-2017 Seagates do pretty damn well. The only way to identify the drive you want by year, is by looking at the model numbers and cross-referencing them with the datasheets. Or usually just looking at the picture is enough. Cause' it's impossible to just look up the serial number without having the drive. Sometimes there is a case when they just put the new model sticker on an older drive, but newer makes should have casings or at least a top cover that has a different shape. Good thing that it did not go into my PC. Samsung Sprinpoint (2015 and older), have a very sensitive G-sensor. It trips even if you sneeze near your laptop. WD Blues are total garbage. Had one of them die in my enclosure. About a dozen dead ones in work laptops just this year (still under warranty, fortunately). One died at work inside router/gateway... only 15-16mo old, bad sectors, took out internet, VPN and mail with it and caused lots of trouble cause it was set up by a previous admin who passed away this spring (no way to recover settings, accounts, passwords, firewall rules etc.). Seagate is OK, but they tend to overheat, potentially causing future problems. Hitachi for some reason are the most reliable ones... Have a bunch of them from 160GB to 1TB in my office, and even the ones with 10K-15K hours are still in perfect health. Mostly using those as test drives for laptops and PCs. Still waiting for RGB with RGB that also has RGB as well and so on , like a fractal. Only then I can safely buy into this trend. I'm okay with this. 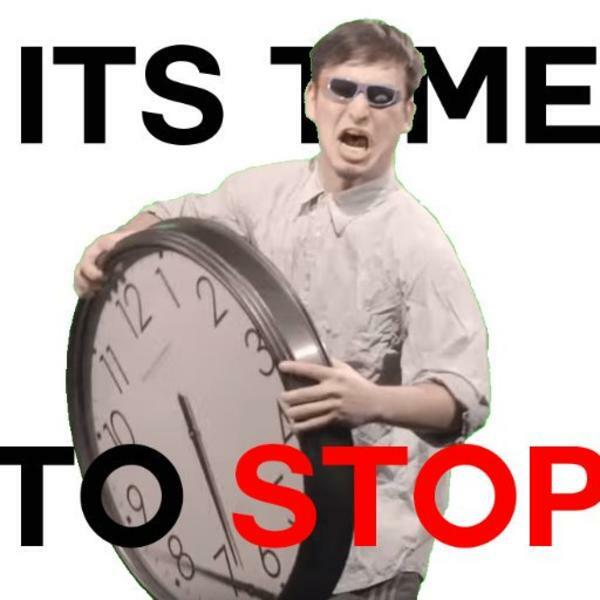 Lets people already in that RGB ecosystem have something else if they want it.